The studio is accessible to people with reduced mobility and can host one person or a couple. 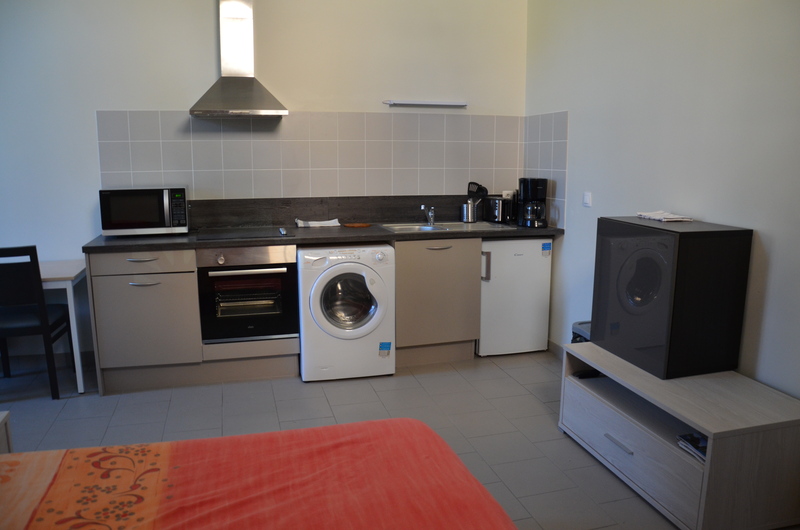 It features a living room with fully equipped kitchen, a double bed and a shower room with toilets. accommodation accessible to people with reduced mobility (first floor). treated floor in type B gray stoneware tiles and wall painted in mat white. Heating is provided by a 1500W electrical convector in the living room and by a 1000W heated towel rail in the bathroom. smoke detector installed at the entrance of the studio. CO2 fire-extinguisher installed at the entrance of the studio. 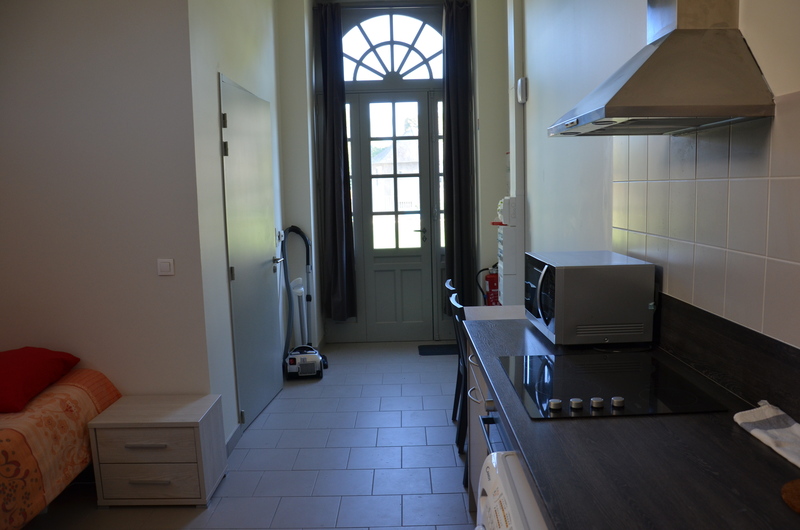 • equipped kitchen: table-top refrigerator, oven, ceramic hob, washing machine/tumble drier, hood (all the tableware and small household appliances are furnished), one table, two chairs, one lower cabinet. • bedroom space: one bed, one bedside table, one chest of drawers. 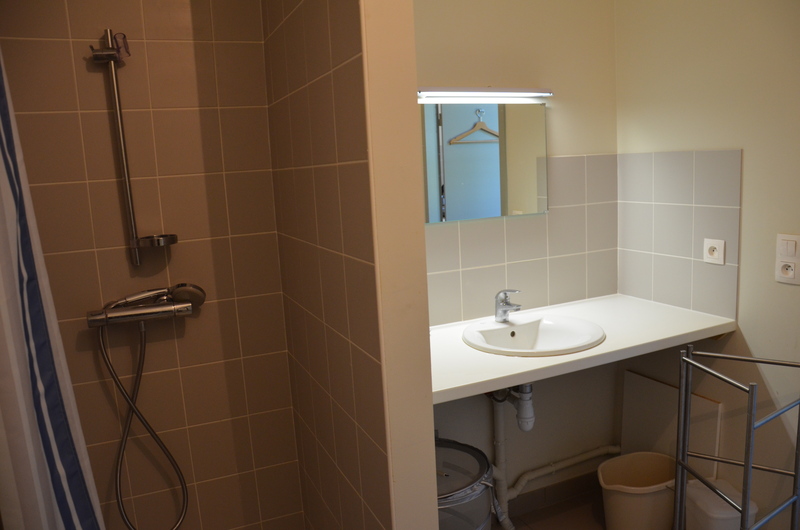 • shower room: shower cubicle accessible to people with reduced mobility, toilets with grab bar, washbasin. • bedding is furnished (residents must bring their own bath towels).